I’ve been absent, that much I know: 1 post in August, another in September. I used to write almost daily. What happened? I’d like to say life happened but that’s just not true. Yes we’re busy. Busy-busy-busy. I am so sick of the word busy. The truth is harder to admit out loud: I. Miss. Her. It’s been a year+ since she left. It was time and believe me when I say I don’t want her to come back for things to be how they were in the end. Just last week a colleague’s mother passed away and the grief paid a visit. A Tsunami wave of it so strong and deep I nearly lost my footing. So many of my stories, experiences and thoughts have her intertwined throughout. But. She wouldn’t want this. She would not want this for me at all. And so I do. I try. Some days I forget to think of her. Other days I dial into conference calls and try not to shout out loud “OH FOR CRYIN’ OUT LOUD!” like she would have been tempted to had she been there. Some days I move around as though nothing happened. As though the void of her passing wasn’t there. Other days I prep the coffee maker to wake up and find I never added … water or coffee. Some days I laugh and chat with my sister and a memory makes us both giggle then gasp back tears, all at once. Other days I can engage with humanity as though nothing happened. Like the wound isn’t still gaping. There’s a lesson for me here: Grief has no timeline. It’s real and raw and it’s why I haven’t even thought about writing. Because to write now is writing in a world without her in it. All that she was and all that she shared and encouraged in me – a love of reading and writing, of good books, breaking news, meandering conversations, being still and quiet, political nuances, singing along to songs worth singing to, Sunday supper on the stove, and a home tidied with things in their place – all that I love to do and 5 million more – are because of her. This song was one of her favorites ~ and it echoed one of her favorite Bible verses. Sing with me will you? 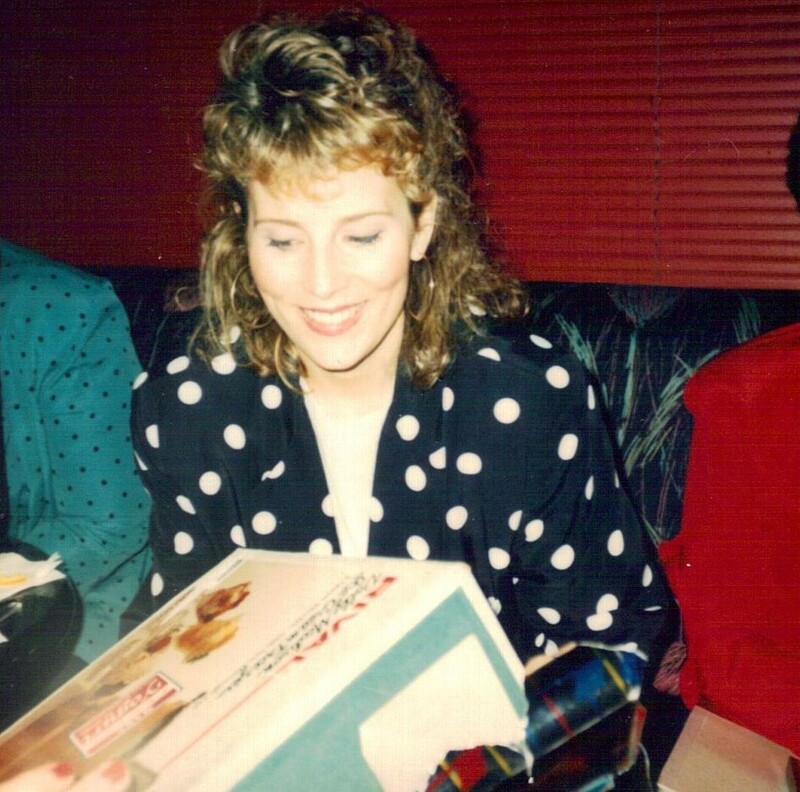 80’s ladies — remember those manly suits? Jack Trainer: You’re the first woman I’ve seen at one of these things that dresses like a woman, not like a woman thinks a man would dress if he was a woman. Tess McGill: Thank you, I guess. I remember those suits, the padded shoulders, and the stupid bows that tied at the neck. 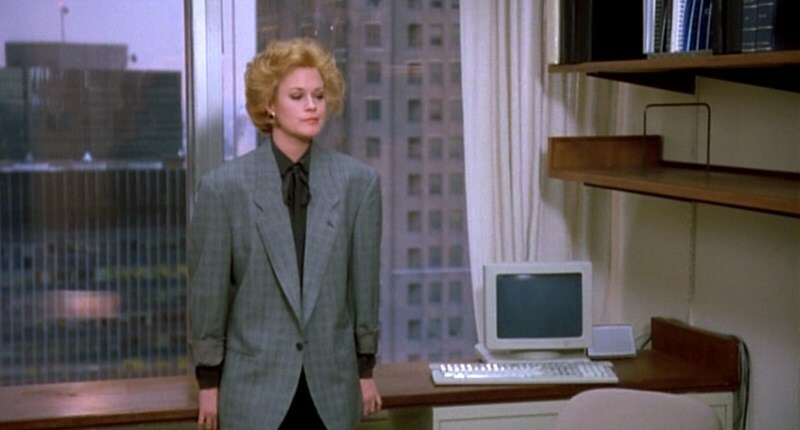 I remember how hot those ties were and how we thought big shoulders made our waists look smaller (like they were ever large in the first place, sheesh!) Now, looking back, I see how we were nearly overtaken by those shoulder pads! Today, clothes are more forgiving. Mix & match, not much that’s matchy-matchy. Slacks and a sweater, wrap dresses, clothes that fit and flatter. Less is more. Thank goodness. That picture above was taken in Houston, where we lived for 10 years before moving to Hubbs’ home state of Michigan. We haven’t been back but we keep in touch with friends ~ some were spared, others had heavy damage to their homes. Having lived there, driven there, and witnessed “normal” flash floods that happen, the damage and impact of this is beyond imagination. 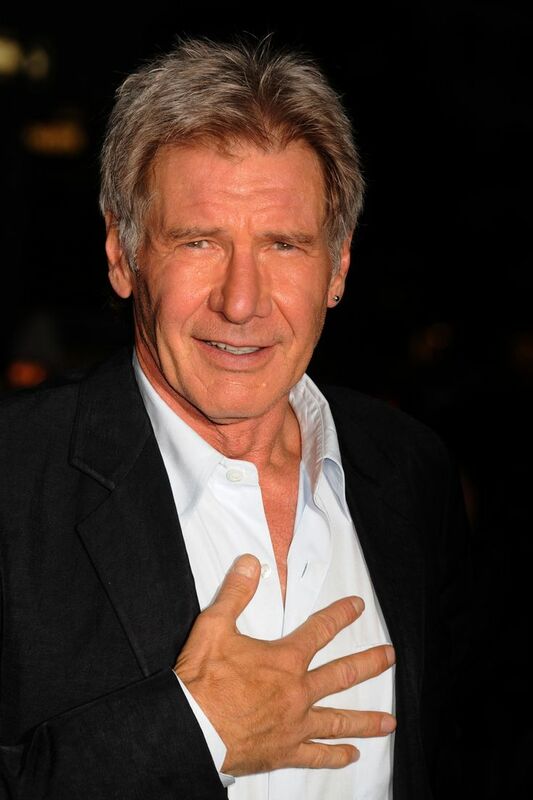 And there’s a reason why sometimes we have to turn off the coverage, bury ourselves in an old movie and swoon over Harrison Ford … who’s still as handsome as ever. Sincere prayers of safekeeping to all affected by Hurricane Harvey!